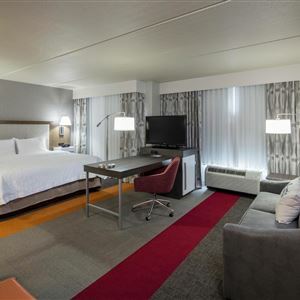 Located in Austin, Hampton Inn & Suites Austin Cedar Park-Lakeline is convenient to Lakeline Mall and Austin Aquarium. This hotel is within the vicinity of Main Event Entertainment and Cypress Creek. Make yourself at home in one of the 71 air-conditioned rooms featuring refrigerators and microwaves. Complimentary wireless Internet access keeps you connected, and 32-inch flat-screen televisions are provided for your entertainment. Conveniences include desks and coffee/tea makers. Featured amenities include a business center, express check-in, and luggage storage. Free self parking is available onsite.